In Buy Mode > Sculptures. 2 Styles: With Stage and whitout stage. Meshes made and textures by me. 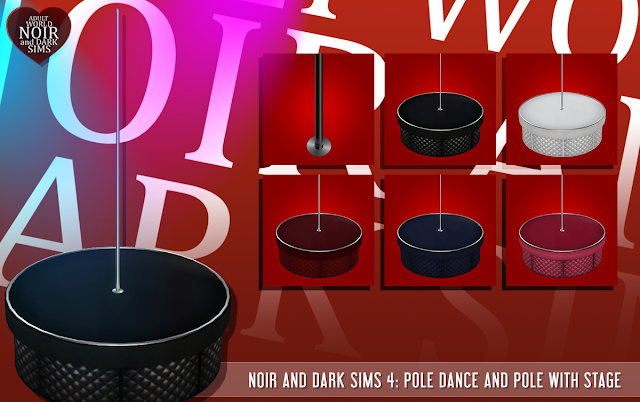 TS4 - Pole Dance Stage by Noir and Dark Sims is licensed under a Creative Commons Attribution-NonCommercial-NoDerivatives 4.0 International License.